The registration period will end on 29th October 2015. Limited places. Places will be reserved in order of registration. Registration will be fulfilled upon completion of the application form, and once payment has cleared. The course will be cancelled if the minimum subscription number is not achieved. Among the many forms of literary expression, one which has enjoyed varying fortunes according to the time and the culture is that of condensed expression, reduction and simplicity (though this does not imply either conceptual or formal simplicity). In some cultural contexts, for example, in eastern poetic traditions brevity and condensation contain an extraordinary complexity and richness which unfolds in its entirety through reading and interpretation. 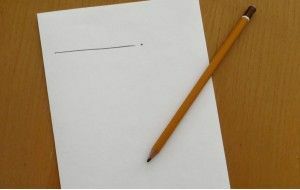 In other traditions, and not only strictly literary, the brief note, the condensed thought or the aphorism served many authors well in the presentation of their ideas, sometimes very complex. Also in narrative, very brief stories ("micronarratives", "pocket tales" or "plain stories") suggest a new way of narrating and reading which appeals to subtlety, imagination and often the transgression of genres. In this workshop, participants will learn all about the mechanisms of creation and reception of short poems (through haiku, tanka, and haibun). microstories, and aphorisms (in different thematic and tonal variations). The workshop will have an important practical component based upon the analysis and study of these literary forms as an initial stimulus and encouragement to individual creation. Reading, recognising their techniques and strategies. Anyone who writes regularly or not, who wishes to learn and practice new strategies to stimulate creativity in writing and in any expressive language. Teachers who may wish to incorporate new creative strategies in the classroom. Victor Sunyol, writer, teacher and editor. Currently teaches at the Escola d’Art i Superior de Disseny de Vic. As a writer, he regularly publishes books of poetry, essays and opinion articles. In the fields of creativity and creativity in writing, he has conducted numerous writing workshops and of literary resources for creativity, in both formal and non formal education, and has reflected upon these questions in lectures and articles. His book Màquines per a escriure (1992) has become a reference among manuals for creative writing. In 2013 he further broadened and delved into these techniques in the book Escriptura creativa. recursos i estratègies (Eumo ed.). 8 hours. 4 sessions of 2 hours each. The registration period ends on 29th October 2015. Limited places. Places will be reserved in order of registration. Registration will be fulfilled upon completion of the application form, and once payment has cleared. The course will be cancelled if the minimum subscription number is not achieved. This course is intended for students who attended the "Home Made Screen Printing" course last April. We will be printing on paper with two colours, and introducing textile printing and printing on glass beakers and tumblers. A basic knowledge of screen printing, since screens will be constructed on the first day of the course. Students who previously attended the "Home Made Silkscreen" workshop may bring screens already built. Participants must bring T-shirts and/or cloth material on which to print. The course comprises four parts. 1. Constructing screens, and preparing them to receive the emulsion. 2. Exposing, revealing and free printing. 3. Printing on paper with two coloured inks. Anyone interested in the world of printing, students from art schools, creative artists, or anyone who has already worked in the world of screen printing. Marcel·lí Gutiérrez, artist and designer. He works as a freelancer and collaborates with various companies in the printing industry. He has worked in companies such as Eumogràfic, Bisgràfic, Summa or Concepts and Ideas For Commercial Purposes. He won the “La Incubadora del FAD 2007” scholarship . 6 hours. 3 sessions of 2 hours. Tuesdays 3th, 10th and 17th November 2015. Nursery, primary and secondary school teachers. Open to anyone interested in learning how to prepare interactive materials. The workshop will explore the possibilities of different materials used in educational activities. 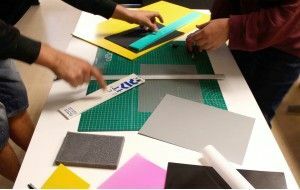 During the course, participants will be guided towards defining and designing, and will finally be encouraged to make, their own material for use in teaching. With this course, ACVIC opens up a new space for educators, artists, and other interested members of the public, which will be available by appointment in order to prepare their very own materials. A workshop space, tools, and an assortment of difficult-to-find materials, will be available. You may also ask for advice on improving your projects in order to increase their classroom performance. Presentation session in which participants may learn about the materials, handle a number of working tools and find out about a few simple resources for designing and finishing projects. Find out how to bring variety to your teaching aids using materials such as magnetic plastics, rigid supports, technical stickers, or even certain online or computer-based resources. Practical session in which each participant or group of participants will settle upon how they wish their project to develop, and will look for the best resources to ensure its completion. Closing session in which participants will finish their projects, and experiment with alternative techniques to improve their designs. After this session, the workshop space will be open and available to everyone. Participants may arrange a time to finish their work, if they were unable to finish during the workshop. Toni Cirera, educational materials and project designer.